We put at the disposal of our global buyers, the quality-assured Manganese Metal Flakes that are tough to fuse, easy to oxidize and very brittle in nature. Also, we deal in Selenium-Free Electrolytic Manganese Ferro Manganese, the purest manganese form. To keep adulterants at bay, we choose appropriate packaging and shipping modes. For discounted prices, contact us. 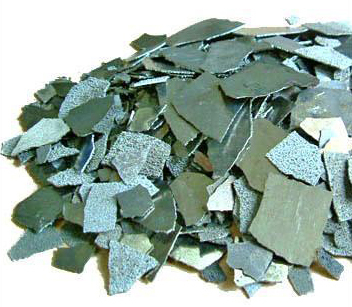 We are the famed Manganese Metal Flakes Importer, Exporter and Supplier world-over.